There's something empowering about a great hair day. You feel like you can take on the world and look great doing it. Wanting gorgeous hair doesn't mean you have to sacrifice the environment or your health. The desire to balance eco-friendly motives and still enjoy great-looking hair is easier and easier to achieve each year. With 100 percent organic and environmentally-friendly brands establishing a foothold in the beauty industry, big names and luxury brands have been forced to reinvent their products. Companies and product lines such as Sephora and Pantene Pro-V have increasingly focused on natural ingredients and fewer chemicals. As a result, most salon brands now offer some type of natural or organic-based products ranging from dry shampoos to styling products. The beauty of this natural transition is that you no longer have to sacrifice quality or your ethics. Today, there are hundreds of plant-based natural shampoos to choose from. Here, we'll show you some of our favorite salon-quality hair care products that use natural ingredients. Photo courtesy of Matrix Biolage. 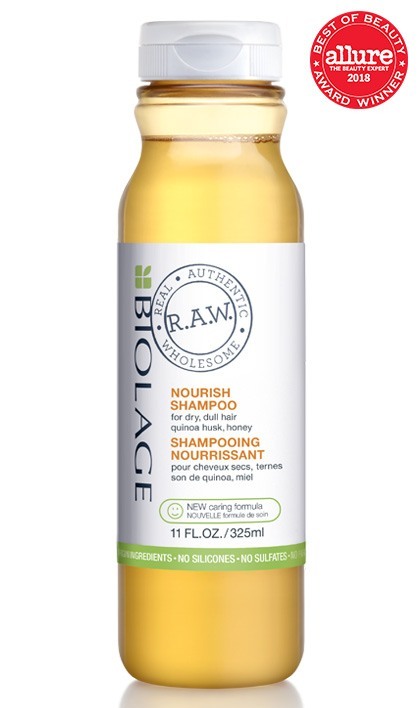 Biolage describes their R.A.W line as "feel-good, look-good, do-good hair care". R.A.W. stands for Real. Authentic. Wholesome. The line features products made of 70 to 100 percent natural-origin ingredients. The environmentally-friendly line consists of shampoo, conditioner, and styling products. Biolage R.A.W. Nourish Shampoo is made of 86 percent natural origin ingredients. The shampoo is 93 percent biodegradable while the bottle is made of 95 pecent recycled plastic. The shampoo formula does not have any silciones, parabens, sulfates, or artificial colorants. The main ingredients are quinoa husk and honey, which help to turn dry, dull hair into healthier locks. Aveda prides itself on developing hair care products that are naturally-based whenever possible. The company also tests all products on humans, not animals, making the brand popular among vegans and animal lovers. Aveda also focuses on selling products with a minimum of 80 percent recyclable packaging. They're also the first beauty manufacturing company to use 100 percent wind power in their main facility. 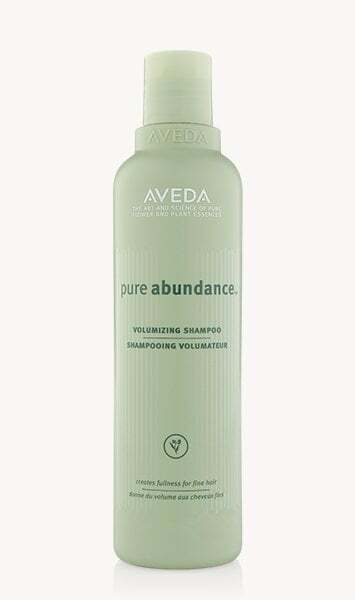 The Pure Abundance Volumizing Shampoo is a plant-based formula enhanced by acacia gum that is certified organic. The product is supplemented with a natural fragrance consisting of peppermint, jasmine, palmarosa, and ylang ylang oils. The shampoo also contains aloe and honey to nourish dry and brittle hair. This volume shampoo is good for all hair types. 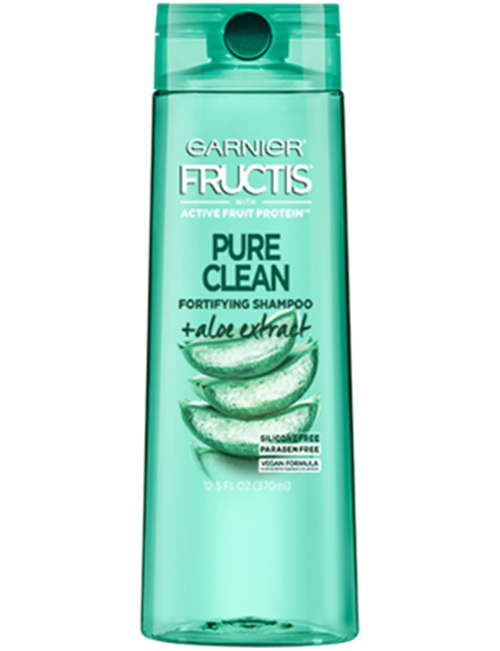 Garnier Fructis is known for its affordable drugstore shampoos and conditioners that smell amazing. With the increase in demand for natural hair care products; Garnier has developed the Pure Clean line. Garnier's Pure Clean shampoo does not contain any parabens or silicone. The formula is fortified with aloe extract and vitamin E for beautiful, healthy hair. The shampoo also contains Garnier's Active Fruit Protein, which is made up of citrus proteins, B vitamins, and plant-derived extracts. This shampoo does contain sulfates and alcohols to help cleanse hair. All Oribe hair care products are paraben-free and most are sulfate-free. The company offers products that don't contain sodium chloride because this ingredient can break down keratin bonds in the hair strands. Oribe products feature UV protection and fragrance derived from a blend of natural oils including cedarwood, white amber, and citrus. All Oribe hair care products are gluten-free and the company never tests on animals. 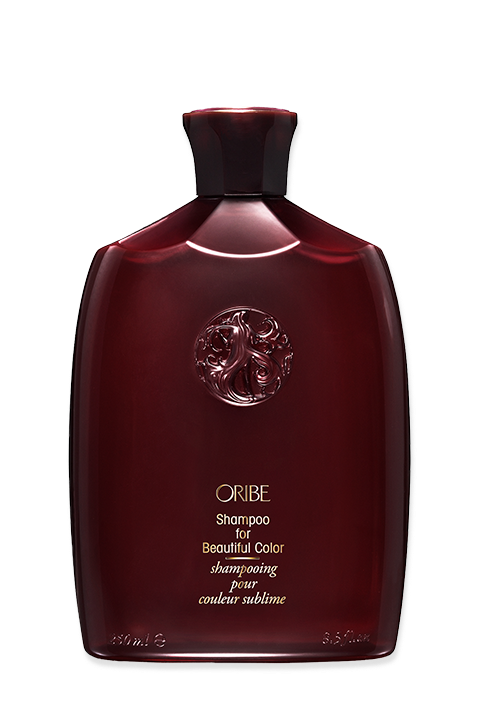 The Oribe Shampoo for Beautiful Color is specially designed for color-treated hair. With this shampoo, you can rest easy knowing your dye job is protected from color-stripping. The Beautiful Color line can be used on all hair types including frizzy hair. The ultra-gentle shampoo contains edelweiss flower, watermelon, and lychee extracts that help to moisturize and protect hair from damage. The cleansing shampoo removes product build-up to make your hair look its best. The shampoo also contains bioflavonoids that are responsible for giving fruit is vibrant hue. This ingredient helps to maximize hair color and shine of color-treated hair. Photo courtesy of Bumble and Bumble. Bumble and Bumble is a cruelty-free brand that does not test on animals. All Bumble and Bumble products are free from formaldehyde, phthalates, mineral oils, and parabens. 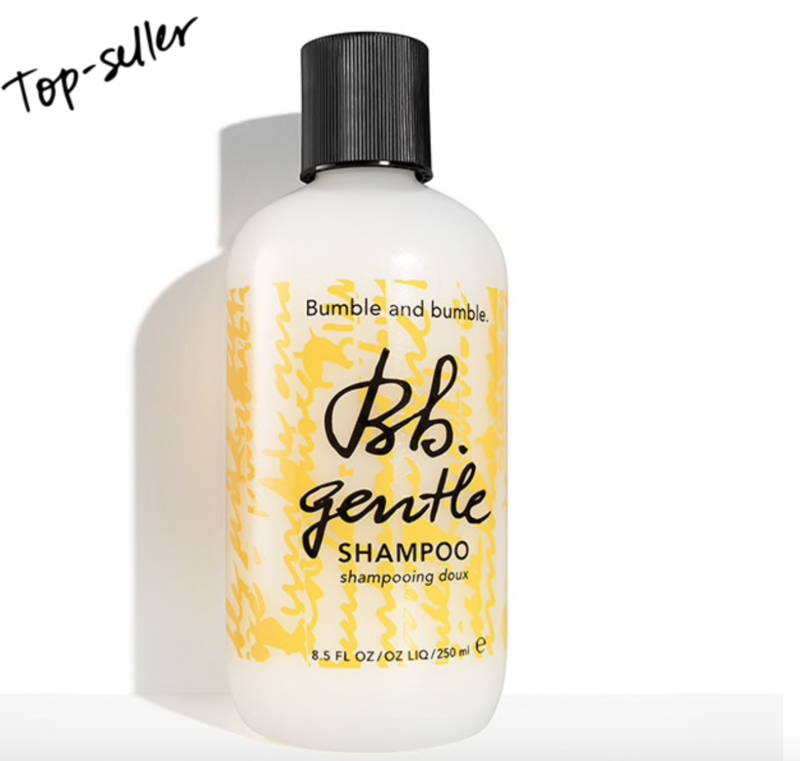 Bumble and Bumble shampoos and conditioners are all sulfate-free, helping to protect hair from harmful and damaging chemicals. The Gentle Shampoo is designed to hydrate and shine all types of hair from oily hair and dry hair to curly hair and fine hair. The formula is gentle enough for color-treated hair and won't strip natural oils or dye. The main ingredient in this moisturizing shampoo is avocado oil, which helps to nourish and replenish moisture. 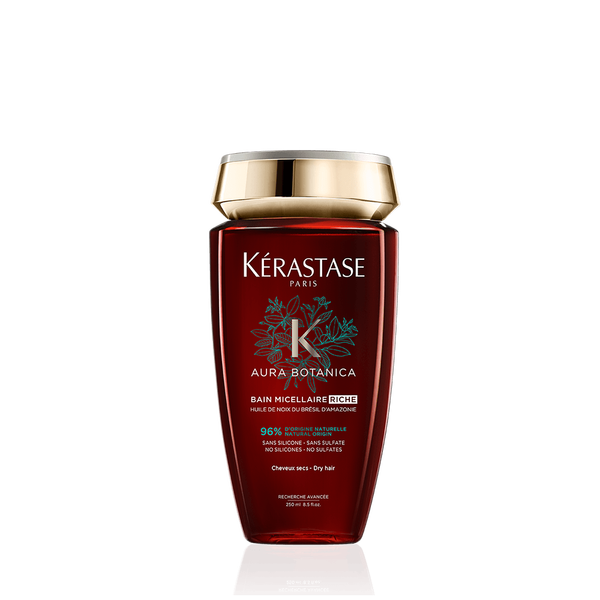 Kérastase is a luxury hair care brand from France that is owned by the parent company L'Oréal. Kérastase products are commonly found in high-end salons and is a favorite in the professional hair care industry. The brand offers several hair care lines that use more than 90 percent natural ingredients. The Bain Micellaire Riche Shampoo contains 96 percent natural origin ingredients including Amazonian Brazil nut oil and Thai rice bran oil. The ingredients are designed to nourish hair and promote hair growth. This hydrating shampoo is free from silicones, sulfates, and parabens. The product does contain fragrance, which may be irritating to sensitive individuals. Redken is one of the most famous salon brands in the world. 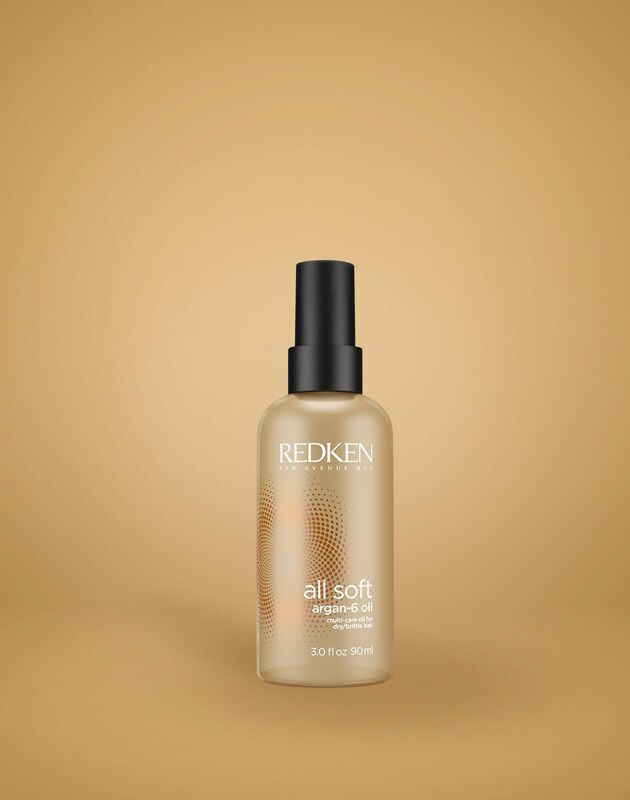 The All Soft Argan-6 Multi-Care Oil offers deep conditioning and shine for hair that is dry and brittle. Argan oil is fortified with omega-6 to create silkier and shinier hair. The moisturizing oil shampoo is free from sulfates and parabens, but does contain fragrance. This shampoo is available at the Redken website, in salons, and on Ulta. If you love beauty and the environment, you'll love these natural-based hair care products. These brands balance ethics and a focus on nature with salon-quality standards to provide hair products that suit your hair needs. Natural ingredients such as tea tree oil and coconut oil have replaced harsh sulfates and fragrances. Show off your best hair and protect the environment and your health with these natural-based shampoos. Find them on the company website, your local salon, or online at Amazon.com. You're sure to find the one you're looking for no matter your hair type. Check out one of the moisturizing or repair shampoos if you have dry or damaged hair. Opt for color-approved shampoo if you have dyed hair or check out a volumizing shampoo to boost limp, fine locks.